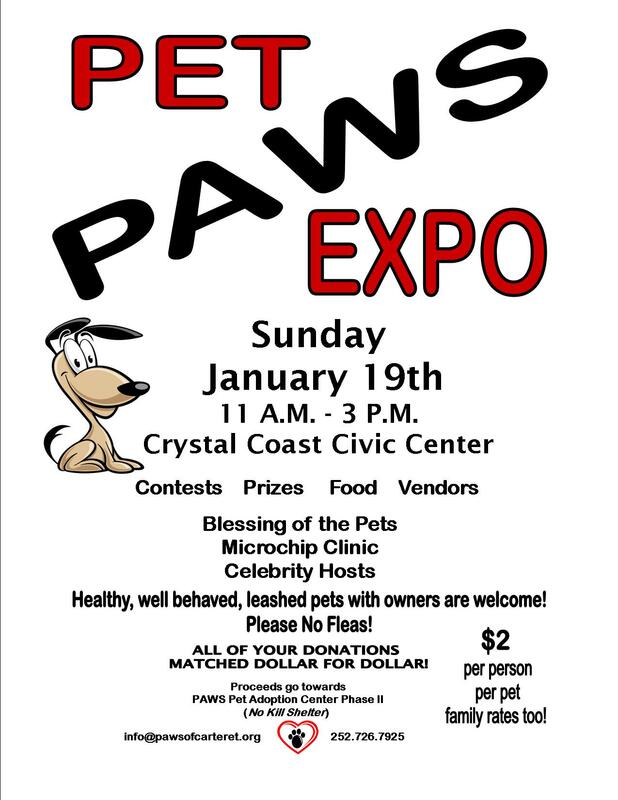 The PAWS Pet Expo will be held Sunday, January 19, 2014, at the Crystal Coast Civic Center in Morehead City, NC. Hours will be 11am-3pm, or until contests are over! This event was formerly held during October and known as OktoberPets. Vendors may contact Donna @ 252.726.7925 to schedule their booth now! This entry was posted on Sunday, October 6th, 2013 at 12:03 pm	and is filed under Uncategorized. You can follow any responses to this entry through the RSS 2.0 feed. You can leave a response, or trackback from your own site.